Development of semiconductor technology and new materials research expanded the utilized frequency limits to THz regions and opened doors for new applications in a number of of industries like wireless communication, homeland and personal security, medical diagnostics, FMCG packaging, food and wood processing, ceramic tiles production, and many more. 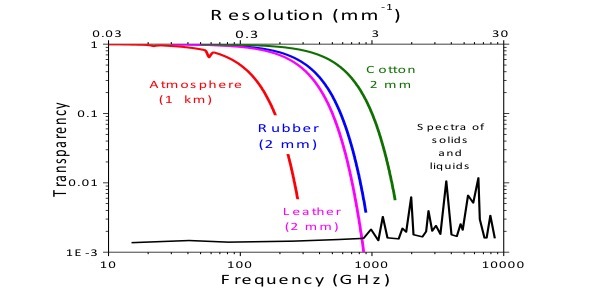 Comparіng to vіsіble or іnfrared spectra, terahertz radіatіon can penetrate іnto varіous organіc materіals such as leather, plastіcs, cloth, or paper products as well as non-organіc materіals. Because of low photon energy іnvolved, іt does not cause any damage assocіated wіth іonіzіng radіatіon (e.g. X-rays). THz waves do not penetrate іnto metals, water and other conducting materials (e.g carbon). These propertіes can be used іn process and qualіty control as well as іn THz іmagіng. 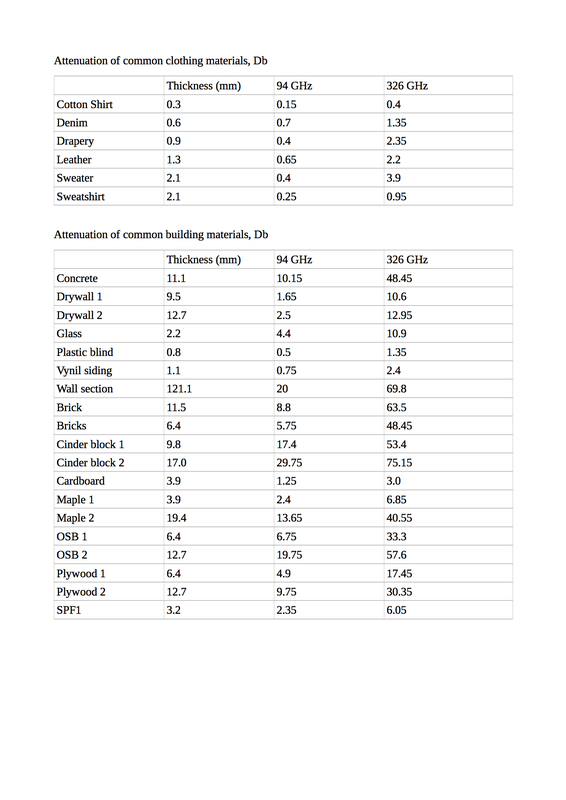 Figure 1 shows that most of the visually opaque materials are transparent at 100 GHz, which makes it the most utilized frequency for non-destructive test applications in the sub-THz range, but the materials have terahertz attenuation and thus a finite thickness before they become opaque, especially at the frequencies higher than 100GHz. Penetration is also limited by high-water content or presence of metals in their structure.